The bank is launching a new £10 million advertising campaign alerting people to the risk of fraud in the digital age. Its advertising will include information targeted towards younger people and those living in urban areas - who could be particularly at risk. Barclays said research has shown that younger people aged 25 to 34 are twice as likely to be victims of online fraud than older generations. The bank said customers using its mobile banking app would now be able to instantly turn off and on the functions that allow their card to be used to make remote purchases - which includes the ability to use the card to make online, in-app, mail order and telephone purchases. They will also be able to set their own daily cash machine withdrawal limits. If a fraudster gains access to someone's card details, they will often use them to go on a spending spree online. Anyone whose card has been lost or stolen, or who suspects their card has been fraudulently used, should report it to their card company immediately. They can also contact Action Fraud. 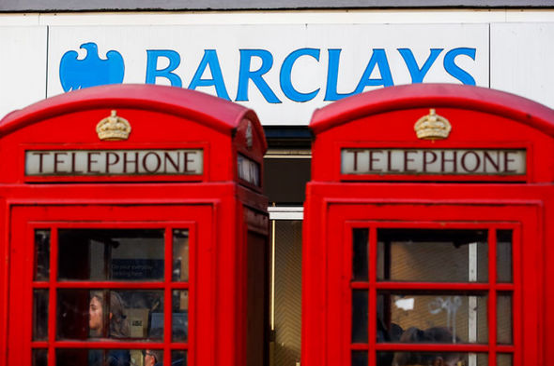 Ashok Vaswani, the chief executive of Barclays UK, said: “Fraud is often wrongly described as an invisible crime, but the effects are no less damaging to people's lives. “As a society, our confidence in using digital technology to shop, pay our bills and connect with others has grown faster than our knowledge of how to do so safely. “This has created a 'digital safety gap' which is being exploited by criminals. He said people should take action to protect themselves, such as by changing their passwords regularly. The bank's research suggests a quarter (25 per cent) of people in the UK have experienced a cyber-fraud or scam in the past three years. But nearly a fifth (17 per cent) of people who have been a victim of a fraud or scam take no action to boost their digital defences as a result. Laura Flack, Barclays head of digital safety, said: “Each one of us probably knows someone who fallen victim to a criminal fraudster. 1. Never give out your full online banking Pin, passcode or password to anyone - even a caller claiming to be from the police or your bank. 2. Do not click on any link or open an attachment on any email you receive which is unsolicited.